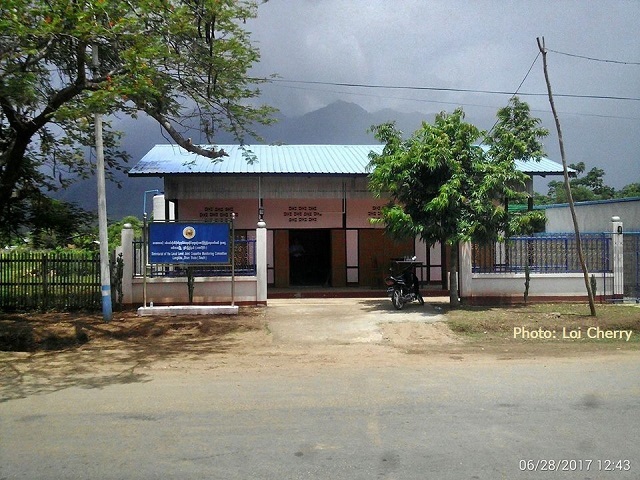 The Joint Monitoring Committee opened its first local-level office (JMC-L) in southern Shan State’s Langkhur Township on Wednesday. Representatives from local government, military officials and the State Level Joint Monitoring Committee (JMC-S) joined nationwide ceasefire groups the Restoration Council of Shan State/Shan State Army (RCSS/SSA) and Pa-Oh National Liberation Organization (PNLO) for the public launch. The chairman of the JMC-L is to be commander-in-chief of Langkhur Township, while the RCSS/SSA serves as vice-chairman. The general secretary will be appointed from Langkhur military officials. Sai Ba Han, a member of JMC-L, said that the office is supported by JMC-S, and will be available to serve the public and deal with their issues. He said that the new office will hold meetings with local people in order for them to understand the JMC-L work, adding that next month they plan to meet with local people in Maukmai Township. National and regional Joint Monitoring Committees were formed after eight ethnic armed groups – the RCSS/SSA; the Karen National Union (KNU); the Democratic Karen Benevolent Army (DKBA); the Karen National Union/Karen National Liberation Party-Peace Council (KNU/KNLA-PC); the Arakan Liberation Party (ALP); the Chin National Front (CNF); the PNLO; and the All Burma Students Democratic Front (ABSDF) – signed the NCA with the Burmese government on 15 October 2015. The Shan State JMC was established on January 1, 2016. However, to date only four meetings have been held. The first meeting took place on January 9, 2016, in southern Shan State’s Kholam Township, where the headquarters of the Burmese military Central Eastern Command is based.